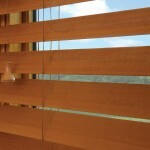 For years, wood blinds were very popular, mostly because people love the way they can complement the decor of any room. People quickly found, though, that natural properties of wood sometimes couldn’t stand up to certain conditions, such as the high humidity we have here in the West Palm Beach area. Since the introduction of faux wood blinds, consumers now have a variety of options to select from at various price points that can meet any budget. Treasure Coast Window Fashions is your Hunter Douglas Gallery dealer serving the West Palm Beach area. Our window treatment experts can help you select the best blinds — either faux blinds or wood blinds — for your specific needs. 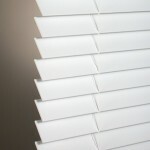 Faux blinds and wood blinds do have a lot of similarities. They are are constructed similarly, and both will complement any room décor. Both types of blinds are constructed using string ladders and are available in a variety of slat sizes with traditional lifting and tilting system and some styles offer cordless or motorized lifting system for added safety and convenience. The most obvious advantage of real wood blinds is that are made of real wood! This gives them the look, feel, and quality of real wood products. Durable and affordable, faux wood blinds give you the best of both worlds. They are typically made of PVC, PVC composite or wood and vinyl combination. Both wood and faux wood blinds will enhance the beauty of your home. The experienced sales consultants at Treasure Coast Window Fashions will assist you in making the perfect selection. Treasure Coast Window Fashions provides more than just the finest window coverings. Our owners are involved in every project from start to finish to ensure your window covering project exceeds your expectations. We’re proud to serve the greater West Palm Beach area. Please contact us at 772-220-8870 or visit our showroom in Stuart, FL, for more information about our products and services. Contact us to learn more. Shutter, Shades, or Blinds – What’s Right for You?